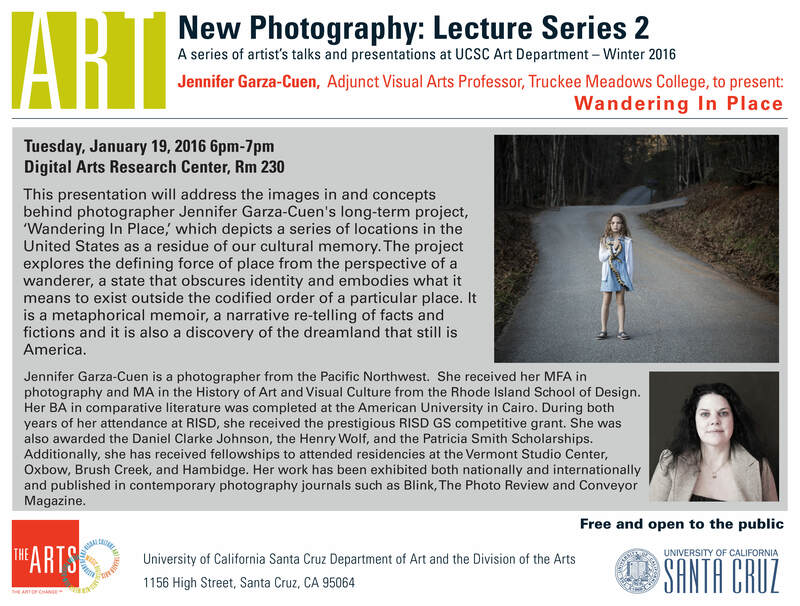 This presentation will address the images in and concepts behind photographer Jennifer Garza-Cuen's long-term project, ‘Wandering In Place,’ which depicts a series of locations in the United States as a residue of our cultural memory. The project explores the defining force of place from the perspective of a wanderer, a state that obscures identity and embodies what it means to exist outside the codified order of a particular place. It is a metaphorical memoir, a narrative re-telling of facts and fictions and it is also a discovery of the dreamland that still is America.